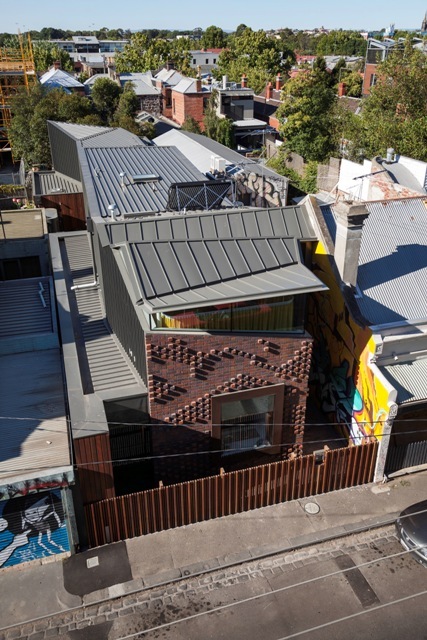 Working with the tight confines of Port Phillip Council's heritage and sustainability guidelines, this double story addition blends the classic Victorian terrace with modern open plan living. 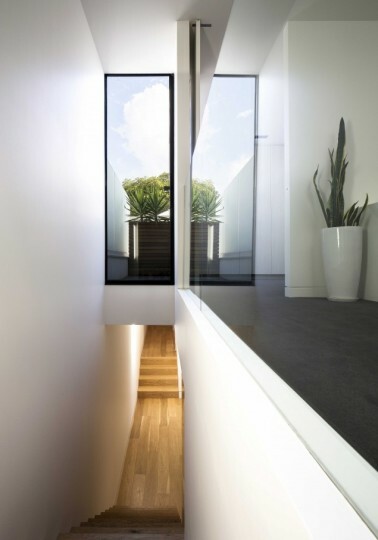 This unique house by John Wardle Architects is a multi-award winner. 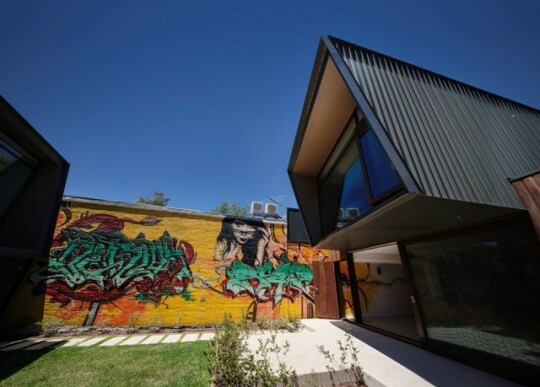 The narrow site response is through the use of a central courtyard, where the characteristic graffiti connects the house to the neighbourhood context, something that is integral to the design of the house. With such a strong design focus, the brief for thermal performance was to integrate JWA's high specification for insulation and glazing seamlessly in the design. This resulted in a star rating that easily exceeded the minimum BCA requirements that were in place at the time of design. Greensphere Consulting was commissioned to provide detailed energy performance assessments for series of wall types, window configurations, and thermal mass densities. Currently specified in a double stud thermally broken (no bridging) format at 300mm tick, this wall system achieves in excess of R7.0. 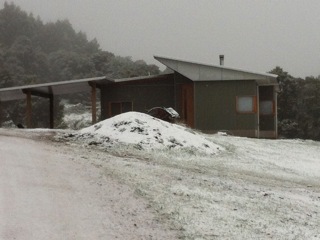 Greensphere Consulting was commissioned to provide the Energy Assessment for the Habitech Alpine House. This was completed using FirstRate5 and resulted in a 7.7 Star rating. 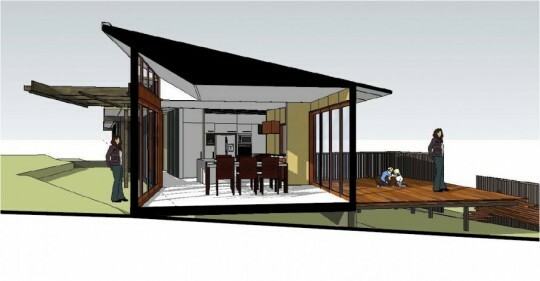 The design is carefully considered to frame southern mountain views, while optimising northern orientation. 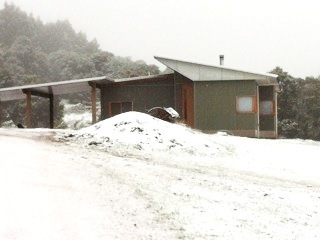 The house has utilised a specialised construction system to create a unique family home in a difficult climate. 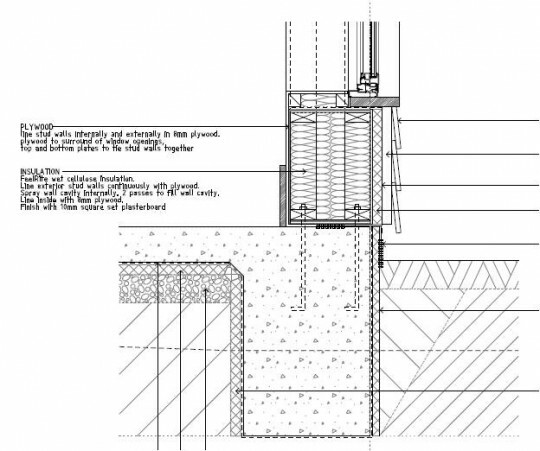 As always, the devil is in the detail, and in this case Habitech System's unique building fabric demonstrates how effectively insulation and building sealing is achieved with the system. The Habitech Structural Integrated Panel (SIPs) system far exceeds the minimum performance requirements of the BCA deemed-to-satisfy (DTS) provisions and contributes to a level of performance higher than is indicated by the rating system – FirstRate does not allow adjustment of the infiltration settings, one of the areas of performance that sets this system apart from the standard stick and brick construction. 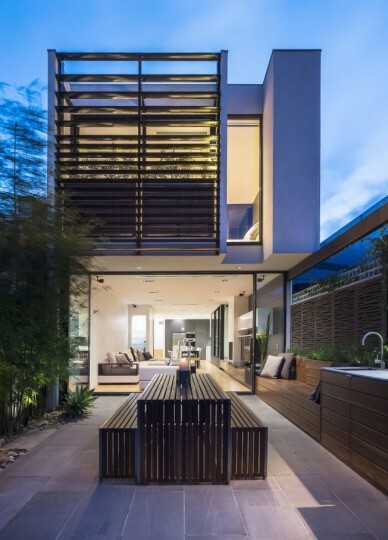 Whether casual or urbane, sophisticated contemporary or gracious heritage, RMA creates a standard of architecture and interior design in Melbourne, our head office, Sydney and other great places in Australia celebrate. 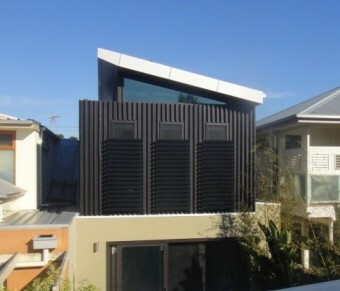 Greensphere Consulting has worked with RMA for many years to ensure the thermal performance is at the same high standards as the architecture. This pair of townhouses responds not only to site constraints, but also strict requirements regarding sustainability from the Council within which it resides. Complex solutions can be avoided when the design embraces these requirements from day 1. 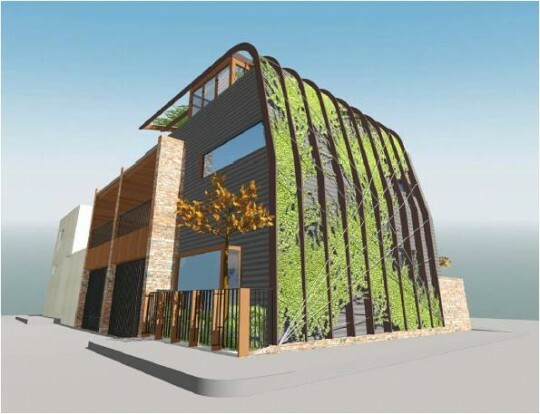 A double storey green wall has been designed to provide a visual screen as well as a buffer to the harsh west summer sun. 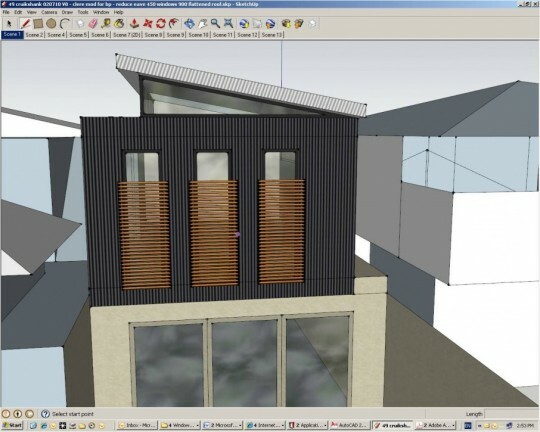 Habitech Systems specialise in combining passive thermal design with an innovative modular panel construction. 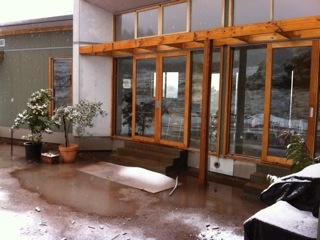 The result is a very high thermal insulation value with an equally impressive construction timeframe. 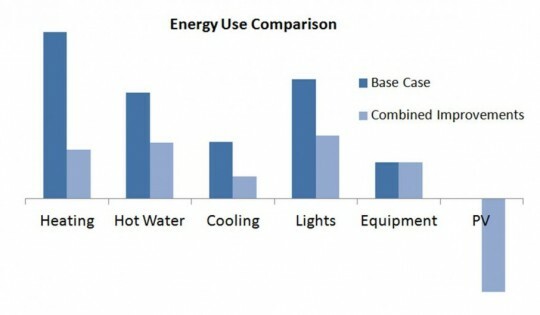 Combining an existing house is never easy in terms of energy and thermal performance. This uniquely designed house employs the best features of the existing house, such as thermal mass, with the best of the new extension, such as high insulation levels and high performance double glazing. The combination in this case produced a result in excess of 5 Stars, with the benefits of course returned to the occupants over the long term. Easy isn’t it. 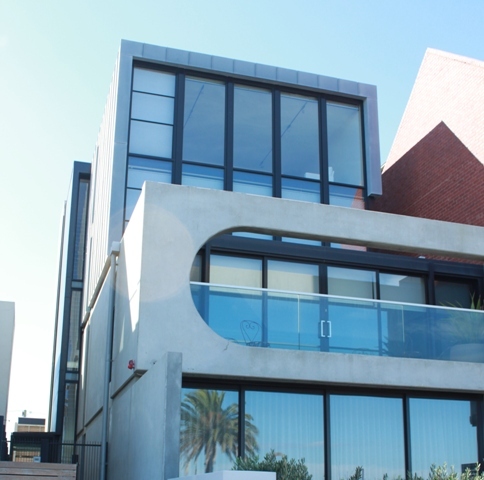 These superbly designed apartments have one of the most enviable addresses in Melbourne. 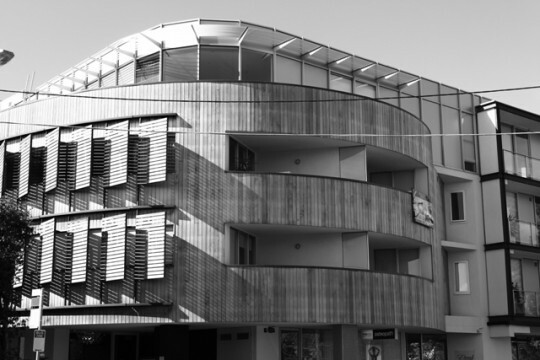 The Architects were commited to achieving a high quality finish as well as sustainable performance. 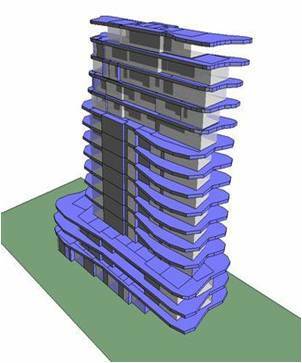 This was handled by integrating the material design and energy requirements of the project early in the design. 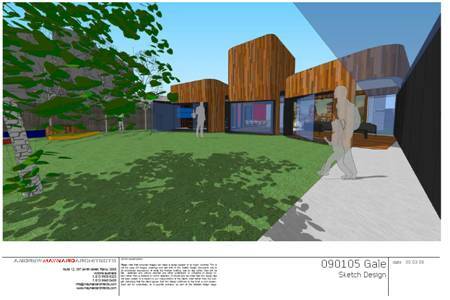 The outcome was top class and the performance levels achieved with minimal interruption to the design intent. 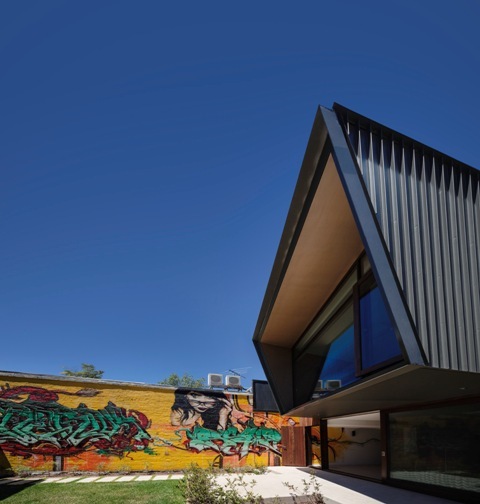 The Port Melbourne House is an exploration into the possibilities of achieving sustainable outcomes in high density residential areas. 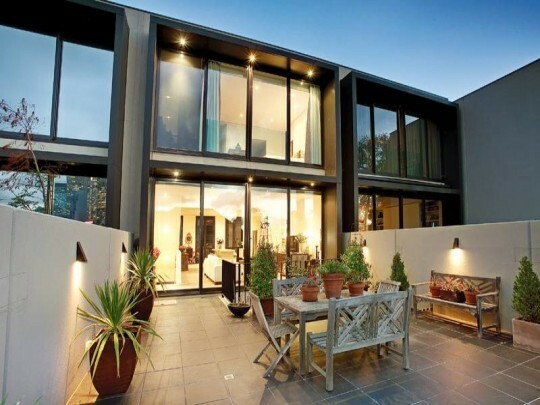 A 6 Star rating, ring main hydronic system, evacuated tube solar hot water, LED lighting and natural materials including, but not limited to, green concrete, recycled timber flooring, EO particle boards throughout.